Helping couples reach a non-confrontational solution to their separation should be right at the top of priorities for a family law specialist when taking on a new client. Our professional code of conduct dictates we should aim to do this and the practices of the “Rottweiler” lawyer have no place in the profession. Sadly, this is not always the case. Some couples are determined to go head to head in a divorce battle and there are still solicitors out there who will egg them on. That is why Resolution is so important. 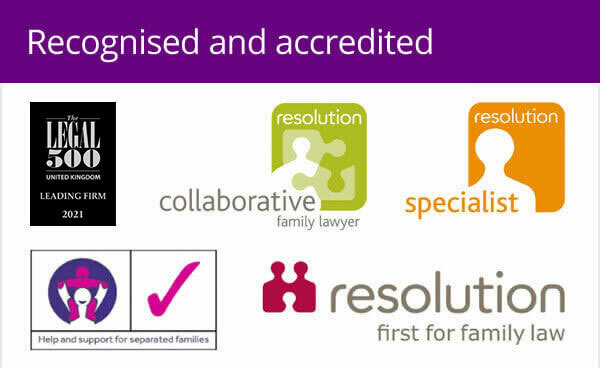 Resolution is an organisation of 6,500 family lawyers and other professionals across England and Wales committed to a non-confrontational approach to family law issues. Solicitors who want to get involved sign up to a code of practice and can attend additional training to help deliver this approach. The ultimate aim is to resolve separation arrangements pragmatically and calmly, allowing the couple involved to quickly move on with the rest of their lives. So, if you are looking for a family law solicitor and they are a Resolution member, you know they will take this approach. Woolley & Co hit a landmark just before Christmas in that all of our 22 family lawyers across England and Wales are now Resolution members. We have always subscribed to the credo that non-confrontational is best, but ensuring that we are signed up to the right body gives additional peace-of-mind to potential clients. 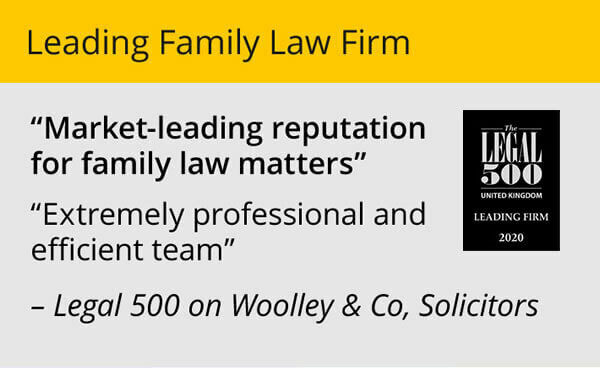 That got me thinking about other statistics related to the Woolley & Co lawyers that demonstrate their commitment to helping families in crisis. One they will not like is that collectively they have 300 years of post-qualification experience! Currently, they are handling around 1,300 family law clients, with 582 financial cases, 215 children cases and 825 divorces. Having done some quick sums, I estimate we have handled more than 10,000 cases since I founded the firm in 1996. Of course, the number of cases isn’t a measure of success, it’s how you handle them. Being Resolution members gives a guarantee of the way we will proceed for clients. But we also ask whether our clients are satisfied after their case is wrapped up. Overall, 82% are satisfied or very satisfied. This breaks down as 55% very satisfied and 27% satisfied. We still have a lot of work to do though. The remaining figures show 8% gave a neutral rating, 7% were dissatisfied and 4% very dissatisfied. Well over half of our clients say Woolley & Co is better or much better than other solicitors they have dealt with and, on a scale of one to 10 for recommendation, we score 8.2. In an industry where client satisfaction levels often fall far short of expectations we’re doing OK but we are certainly striving to better these results in 2014. Continually striving to improve performance is something the whole legal sector should take seriously. Yes, it is easy for people to complain if they do not get the result they want, however unrealistic their expectations may have been. 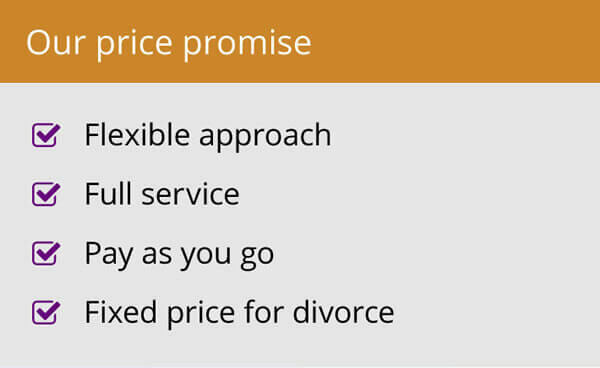 But through better communication and customer service we can manage those expectations and help more people to a non-confrontational settlement on their separation.